If you were to walk into my classroom, there is a very good chance that music will be playing. 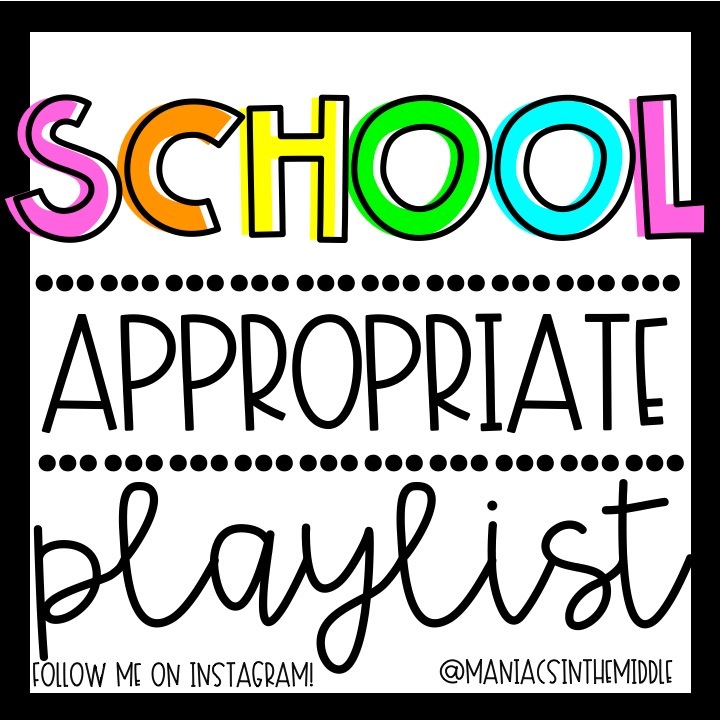 Whether that be as background noise or as a classroom management tool, I cannot go without music in my classroom! 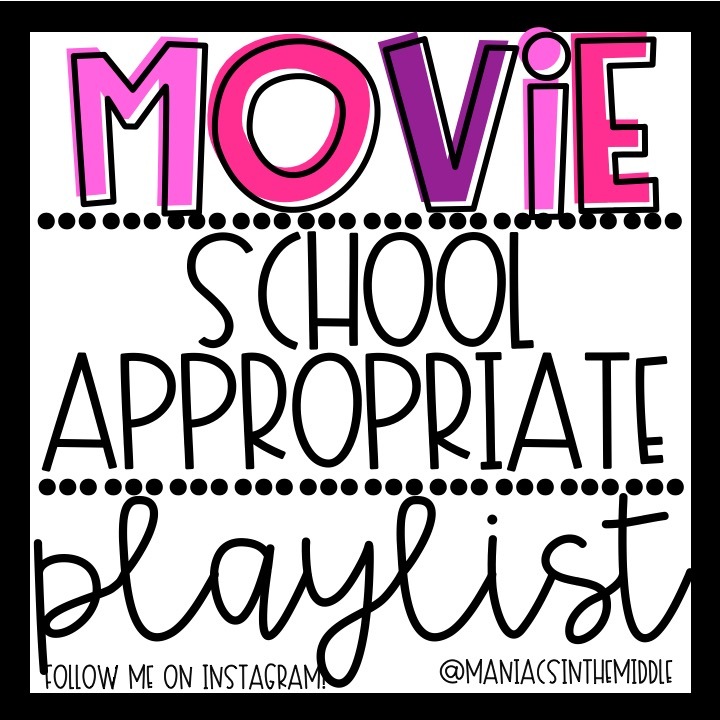 Click HERE for all of my school appropriate playlists! Our kids now are stimulated 24/7 by all of the technology at their fingertips. They are watching Netflix, while Snapchatting, while playing a video game all at the same time! They go from an overstimulated environment at home, to school where they are expected to be quiet the majority of their day in the classroom. Music is such a huge part of my life and I knew it was for my students as well. The music in my classroom started when I was a student teacher. I student taught in third grade in a VERY energized classroom (& by energized I mean CRAZY). One day I just suggested to my Cooperating Teacher that we play instrumental music on YouTube while the students were writing. Let me just tell you…IT WAS MAGIC. It instantly lowered the volume level of the classroom and the students were focused on their writing. That is when I knew music would be a large part of my future classroom. Fast forward to my first year of teaching. I would play “Today’s Hits” on Pandora. I had the censored box checked. I thought I was good to go! Then, I would hear a familiar song come on. I constantly listen to music at home, so I was pretty familiar with the songs on the radio. I would know when a curse word was about to come on. So what did the first year teacher do? She SPRINTED over to her computer from across the room to turn down the volume when the word was about to come. Did she make it every time? NO. Did she accidentally turn the volume back up at the EXACT time the curse word came on? YES. (True story. It was the “D” word in “See You Again” if you were wondering. It still haunts me.) At that moment I knew I had to do something different! 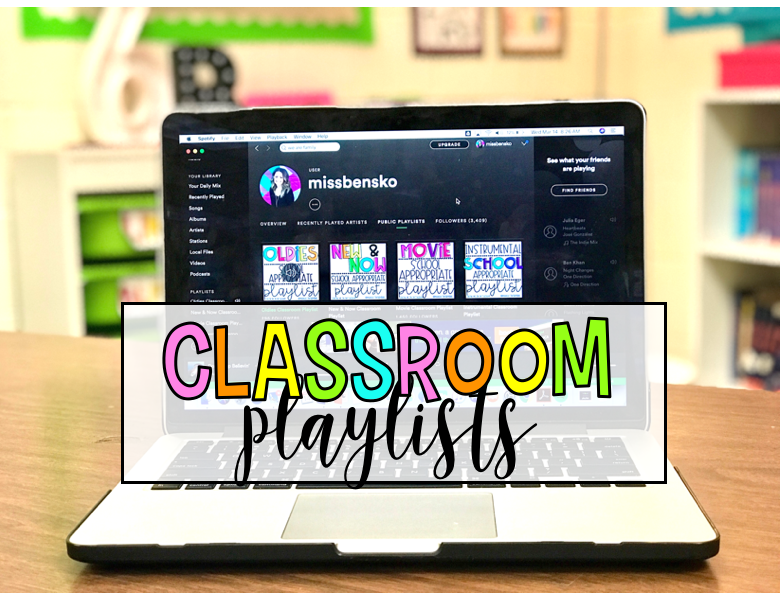 I had been making playlists for my friends for years so why not make one for my classroom? I started creating a “School Playlist” on iTunes. This was LIFE CHANGING. I no longer needed to run to my computer to change the song because of a bad word. I had TOTAL control over what was being played in my classroom. The only problem was finding school appropriate songs! Who knew this could be so difficult?? So we listened to the same 50 songs for the entire year. This year is when I started making my playlists on Spotify to share with everyone! I shared a video of my students working in my classroom on Instagram Stories and I got flooded with questions on what music I was playing and if I could share the playlist. The rest is history! Every song I hear on the radio, my first thought is, “Does this have any curse words in it? Is it appropriate for school?” Just ask my mom or my friends! If I am driving I immediately have them look up the lyrics! I am constantly looking for new songs to add! When do you play music? The better question is when DON’T I play music. I don’t play music during quizzes or tests. I don’t play music when the students are reading. I don’t play music during instruction. I play music pretty much every other time in my classroom. I play music when the students are performing a lab as background noise. I play music when the students are completing group work or a project. I play music when they are writing in Language Arts. Music in my room is used as a voice level tool. Music is on pretty much any time the students are discussing or working together, which happens all the time in science. If the students can’t hear the music, they are too loud and it goes away. This is a huge motivation tool for them! What about the kids that need it to be silent? As teachers, we know our students better than almost anyone. We know their ins and outs, what bugs them, and what is best for them as students. The same goes for me! I know the classes that work best with music in the background and the classes that need to work on having music. I know the times when the music should be off and the times when music might enhance the classroom environment. At the end of the first semester, I gave my students a survey. They filled it out privately and I was the only one who was going to read it. One section said, “In science I love…” EVERY SINGLE STUDENT CHECKED MUSIC. EVERY. SINGLE. STUDENT. If ONE student asks me to turn off the music, I do it. The question I get from my students the most: “Can you turn on the music?” That speaks for itself. Try it out! 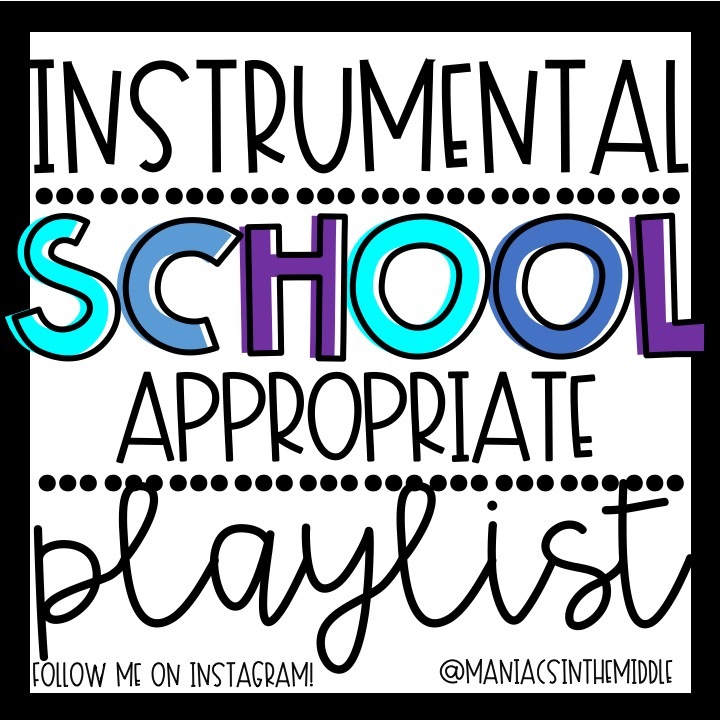 If you are a newbie to music in your classroom and still a little hesitant, the Instrumental Classroom Playlist is a great one to start out with! 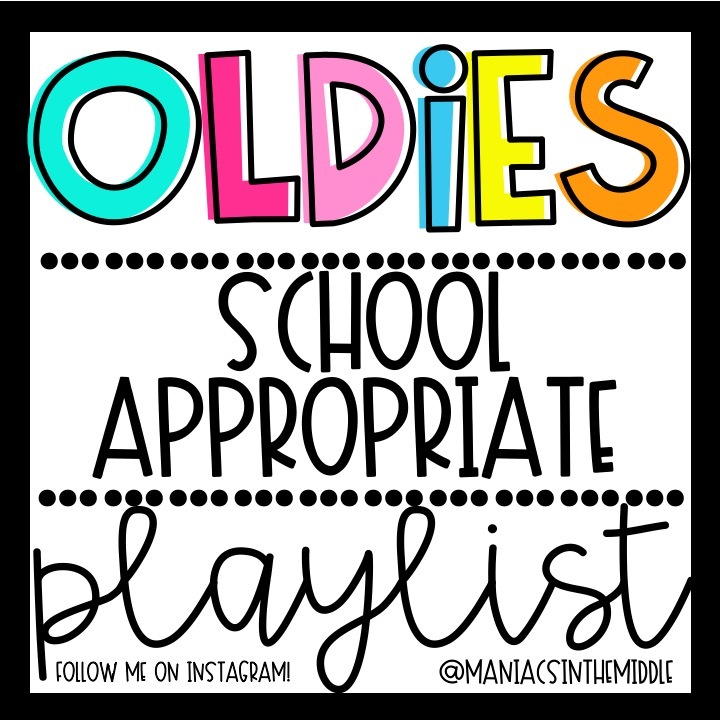 My personal favorites are the Calm Classroom Playlist & the Oldies Classroom Playlist! 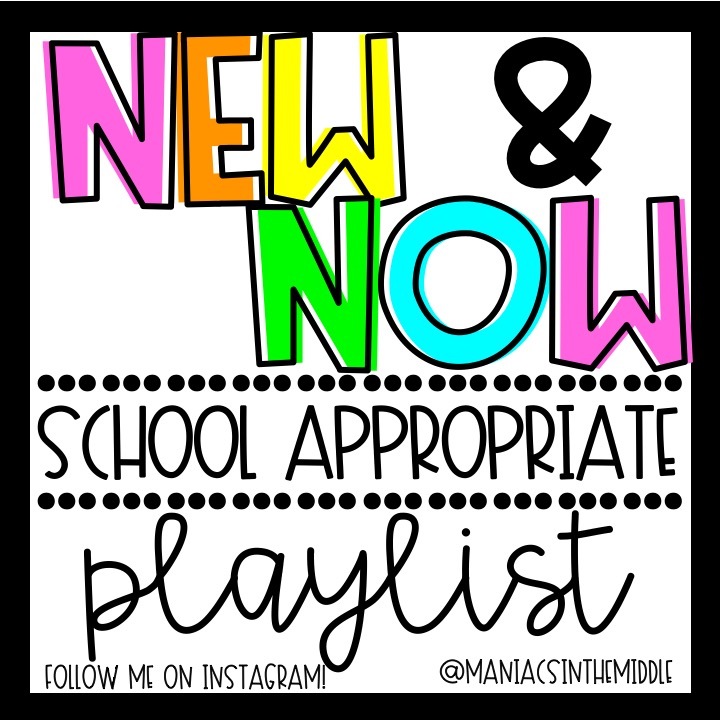 Let me know what you think & how you use music in your classroom! I love your playlists! Do you have the request slip? I love it and couldn’t find on TpT. My kids love listening to current pop song piano hits on youtube! Thanks for the awesome share. I used to play music frequently when I was teaching in a class by myself. Finding it a little more difficult now that I’m in a larger learning space with 2-3 other educators. Thinking how I could reintroduce ‘tune times’ during our day without imposing on others. Do you think you could make a country hits playlist? 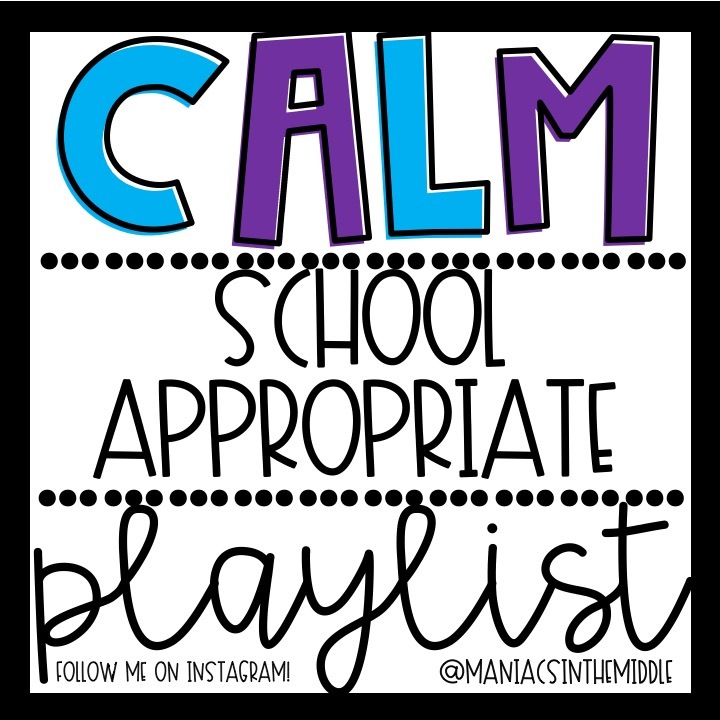 I use the all the other playlists in my classroom (LOVE THEM!) and my students keep asking for country! I LOVE country music!!! It is just hard to find school appropriate country music! Off topic of the post, but what are the 3 fonts you use for each of the playlist title boxes? Hi Josie! I am new to using music but tried it this week and in 5 of my 6 classes it was A-MAZ-ING! The 6th was one of those groups that will need to work on earning it. Thank you for the playlists! Question…do you have a holiday playlist? I’m not so worried about bad language in this category, but more about religious tunes. I was looking for a concise list of songs that are safe to play in a public school classroom. Thanks so much! Thanks so much for sharing! I too have made playlists for MANY years and have played music in the classroom using spotify for the same reasons you mention! I have made Christmas music CDs for 15 years and last year started adding a photo on spotify! I love how organized this makes your page look! My question is how can I get these playlists to my own library? Or do I need to click on yours every time? I thought there was usually a “follow” or “save playlist” button but I don’t see it. I love the convenience of spotify but there are several things I need to play around with more! … like reordering songs within a playlist. 😉 I get weird about that! Thanks again! 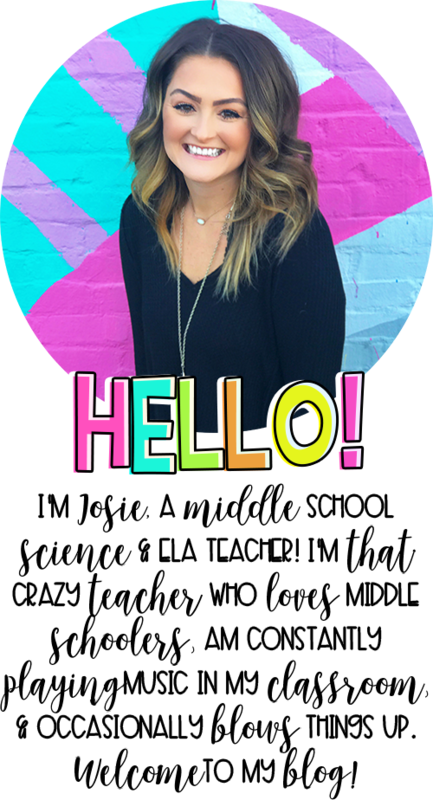 Love following you on social! oh my word! Right after I finally gave in and left a comment to ask you about how to save I went back to spotify and see it right away… how does that happen?! 🙂 THanks! I teach middle school science as well and I am always playing music. I was searching for some ideas of songs to add to my huge playlist and stumbled on your blog. I followed your lists. Thank you! Do you have your music on Apple Music or on Pandora as a playlist? My playlists are on Spotify! Search “missbensko” and they should all come up!